Lately, since 2K Official has revealed the trailer, U4NBA did a survey for satisfaction of the message fans got. Unfortunately, the result is not satisfactory. The console basketball game from 2K Sports, NBA 2K17, will roll out this coming September. However, the game’s fans are worried as there hasn’t been much gameplay feature reveals as well as a lack of trailers. At worst, players may receive a new 2K NBA game without new systems, features, or even a graphics update in the upcoming release. Here’s what we know so far. According to 007SAIF’s thread on the NBA2k Reddit, the absence of NBA 2k17 trailers might be because they have no competition in the basketball video game this year. 2K’s competitor, EA’s NBA Live 17, will have its next iteration released next year. This means that most of the basketball video game fans may easily flock 2K’s side as NBA 2k17 will be released next month. 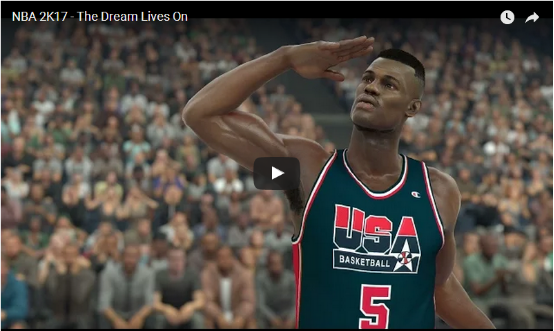 Additionally, it was previously reported that EA’s last NBA Live game flunked in sales. Currently, the only official trailer that we have is the NBA2K17 Legends Live On trailer and it barely shows any gameplay footage. Due to being a sports-based game, NBA video game players often may want to have an idea about the game’s new systems to freshen up its gameplay. At least, players may also want a new game mode to enjoy the basketball gameplay if not investing on new gameplay systems. Lastly, improved graphics may also help help whet the appetite of players for the upcoming game. With the lack of trailers to showcase any new features, players might think twice on buying the game if it turns out worse than the previous NBA 2K16 game. Currently, players can now pre-order NBA 2K17 on its official site. If 2K didn’t invest much on trailers, players will not know if buying it early will be worth it. Additionally, the NBA 2K17 DLC add-ons also has some premium in-game cosmetics, currency and some physical items coming along with the game. For one, pre-ordering NBA 2K17 might only be worth so you can play the game 4 games earlier prior to the title’s official release, but this won’t be worth it if the game is worse or samey with last year’s release. 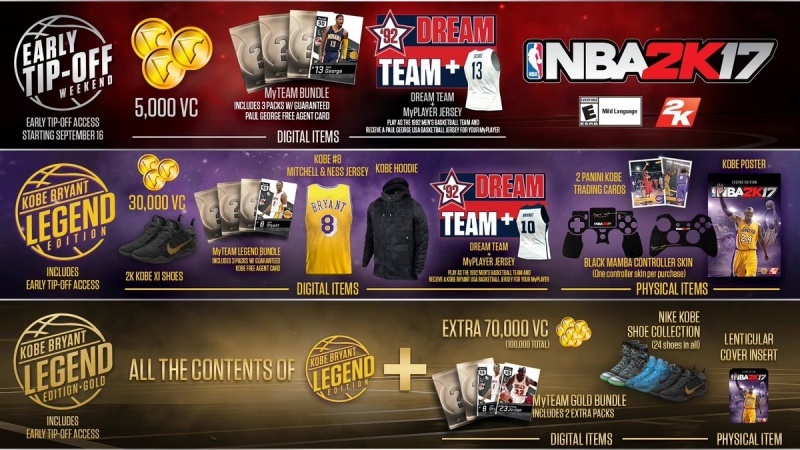 Meanwhile, fans of Kobe Bryant will surely buy the special editions of the title as it will be an emotional investment for them, as there will be digital bonuses such as Kobe Bryant’s related items and even a Nike shoe collection. To be honest, the game will be released soon, while the information about NBA 2K17 still revealed really rare. What we can do is focus on them constantly. You can choose a reliable online store to get Cheap NBA 2K17 MT or newest updates. The website www.u4nba.com is one the popular online store around the world, you can set your mind at rest when you are purchasing points here. Our 24/7 live chat service will always help you solve problem.